We were amazed when GM Alexandr Fier broke the ELO 3000 performance barrier a few days ago at Open Internacional de Sants. However, after seven rounds he continues to amaze everyone. GM Fier keeps his perfect 7,0/7 score after a victory over GM Gonzales, which guarantees him a rating performance of over 3172! If he continues to play at the same pace and wins the final two games, GM Alexandr Fier will break his personal record of ELO 3120 ELO achieved during the 1er Torneio Aberto de Xadrez Parque Aguas Claras. Read more about Alexandr Fier here. The only player keeping the pace of GM Alexandr Fier is the Cuban international master Martinez Duany. 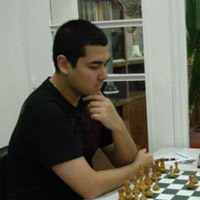 He has 6,5/7, GM Ikonnikov, GM	Kunin and other strong players. 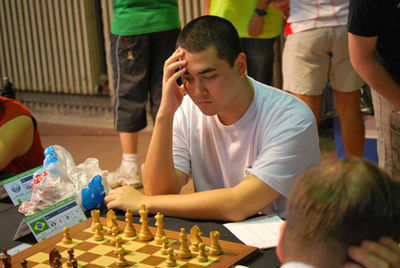 His only disappointment was the draw with CM	Zoldan Matteo in round 2, which keeps him half a point away from the top. GM Michal Krasenkow, GM Jaime Quartas, and GM Almeida Quintana have recovered from earlier wrong steps and are following with 6,0/7. Here are the full standings and top table results at Open Internacional de Sants.